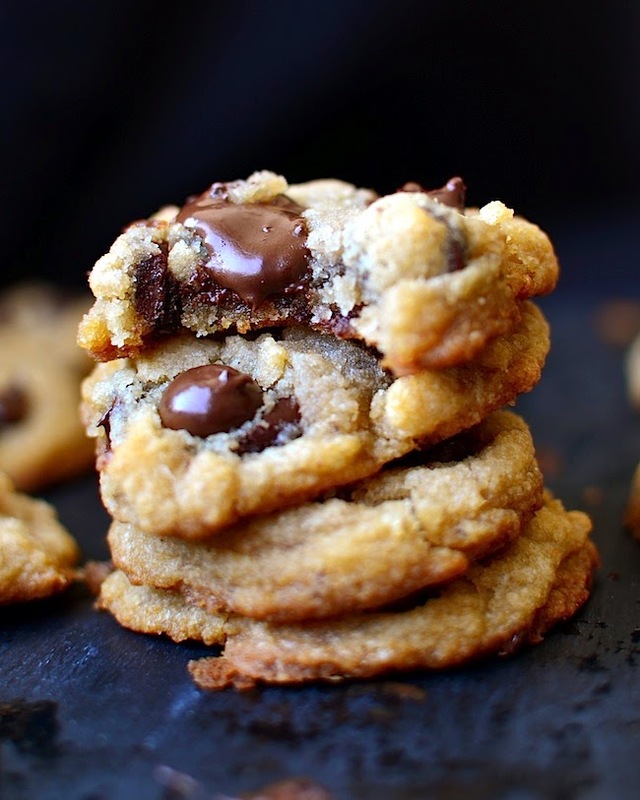 I know I've already posted a gluten free cookie recipe before, but there can never be too many recipes for chocolate chip cookies. These chewy little dudes with their crispy edges and oozing chocolate are not only gluten free, but egg and dairy free as well. I promise no one will ever know. Even the gluten eaters in our family couldn't stay away. Mix together the sugars and oil. Add the milk and vanilla and mix until well combined. Mix together the dry ingredients and add the the sugar mixture. Add the chocolate chips. Allow the dough to rest for 20 minutes. Preheat the oven to 350ºF. Bake cookies on a well greased cookie sheet for about 10 minutes or until desired doneness is reached. Don't forget to follow on Facebook, Twitter, Pinterest, and Instagram. 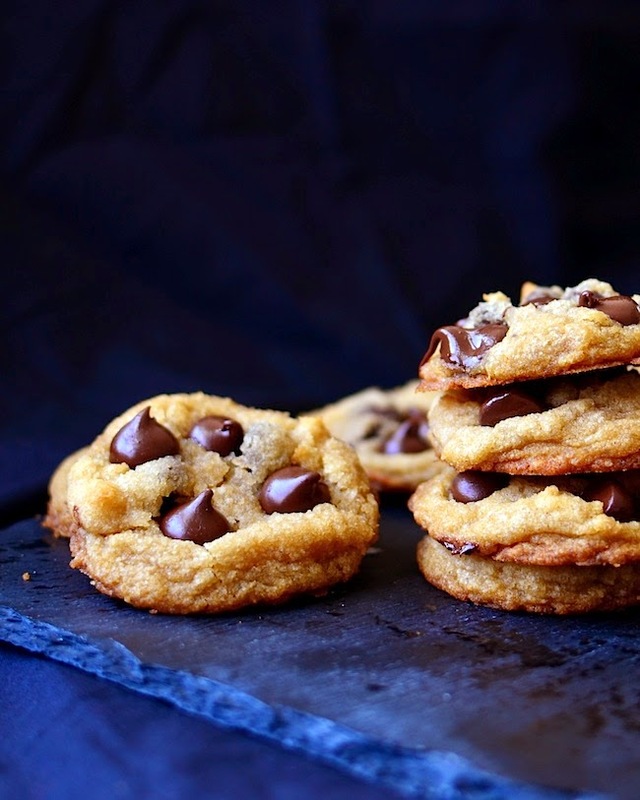 This recipe is very good for the cookie flavor and texture. Is there a substitute for the coconut flour? is there a substitute for potato starch? I'm going to try arrowroot. These are delicious I didn't have potato starch so I used tapioca starch, thank you! These are great! ...Any idea as to how many calories per cookie? Mine didn't turn out. It became liquid when I cooked them. I'm not sure how you get the cookies on the pictures? Is the coconut milk from a can or a carton? Most cartons have gums in them, and I'm nervous that it won't work without that. Thank you! Which did you end up using? Planning to make these soon. I used from a can without gums since they bug me too. I used the bottom half not the fatty top part, since that would be too much fat and they'd turn to mush. I used arrowroot instead of potato starch, and they came out perfect. No one suspected they were GF. Great recipe, Yammie! 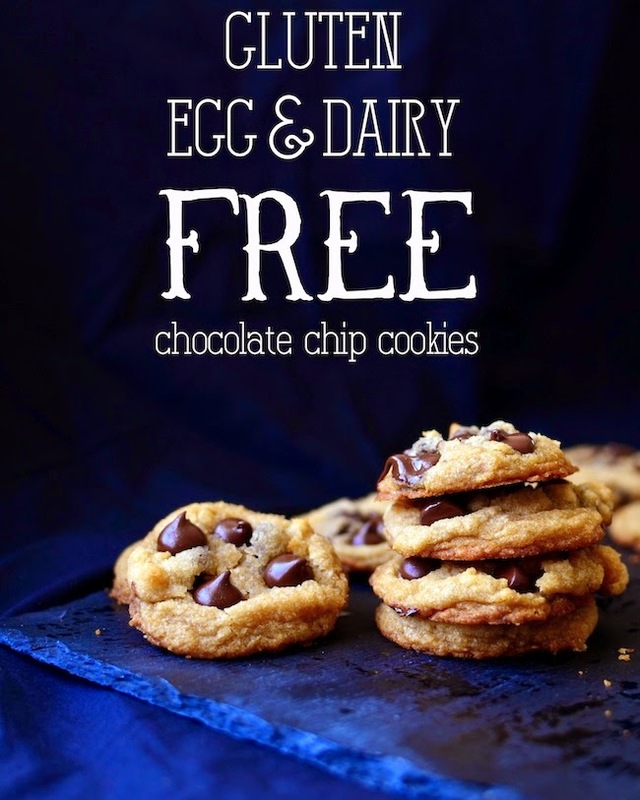 I've been looking for a great chocolate chip cookies recipe that's GF DF and EF. I was wondering though if I could substitute almond flour in place of the white rice flour and potato starch? I used arrowroot instead of potato starch, cassava flour instead of rice flour and dairy free/vegan bar instead of butter because I had these things on hand and I was making them for someone with a dairy and nut allergy. They turned out great! They don't look like the picture but they tasted good. It worked best to smoosh them a little before baking. Thanks for the recipe (even though I substituted a lot!) 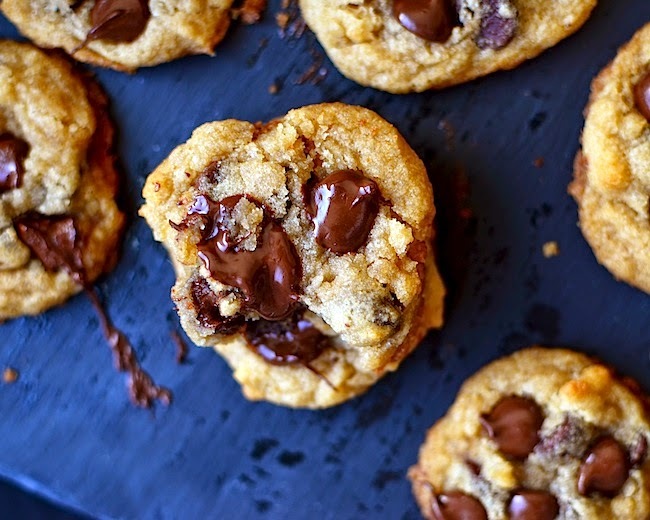 It is quite a challenge to find a good recipe for a cookie that is gluten, dairy, egg and nut free! Should the coconut oil be melted / in liquid form, or in its semi-solid state? Same with me. Should there be some form of egg substitute in this recipe?